Who is the old man sitting in A’ala Park or the young mother being helped by Family Promise or the disabled vet holding a sign up at the traffic light that says, “Pray for me?” Listen to the voices of those who are most affected by homelessness and learn that you may have more in common with them than you realize. The goal of this project is to spark creativity and empathy in approaching the issue of homelessness as a community. 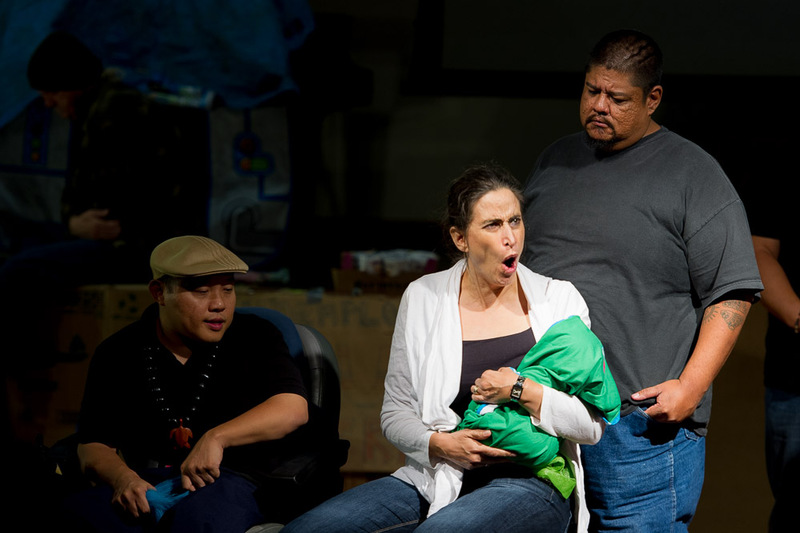 PlayBuilders of Hawai’i Theatre Company’s Dr. Mark Tjarks has interviewed more than 60 members of the Oahu’s “houseless” community and has structured a play by and about the homeless using their words,. “Houseless in Paradise” is a unique theatrical event that features a 13 member cast comprised of 7 members from all levels of the “Houseless” Community performing along side 6 members of Honolulu’s Theatre Community. Through a process of mutual mentorship, they tell stories they have either personally experienced or interpreted from the interviews. The play incorporates music and song into what is sure to be a delightful, entertaining, and educational experience for the entire family. Mark Tjarks is a professor of playwriting at Hawaii Pacific University, who since 2004 has had 17 productions and staged public readings of 10 of his plays on three Hawaiian islands and the Mainland. 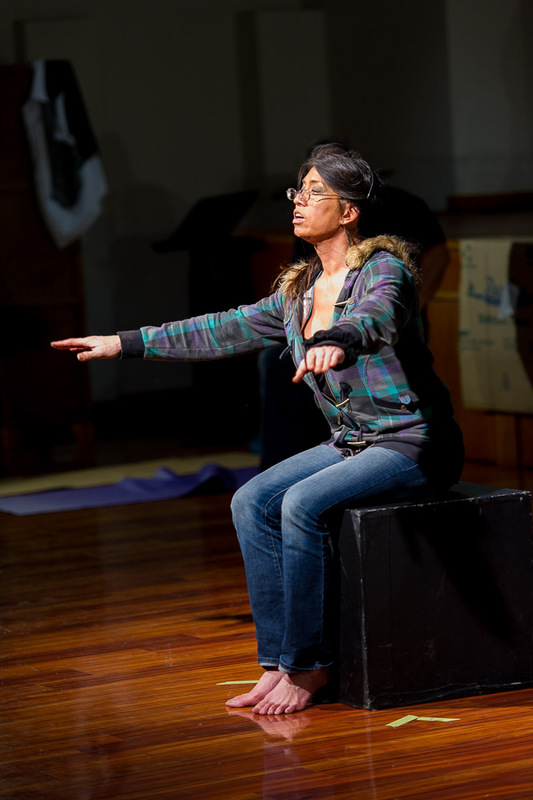 He is a recipient of Kumu Kahua Theatre’s Resident Prize for Playwriting, Aloha Performing Arts Company’s Opie for Best Play (in its Original Play Festival), and Women in Theatres Best Comedy and Audience awards (for its Kauai Shorts Festival). 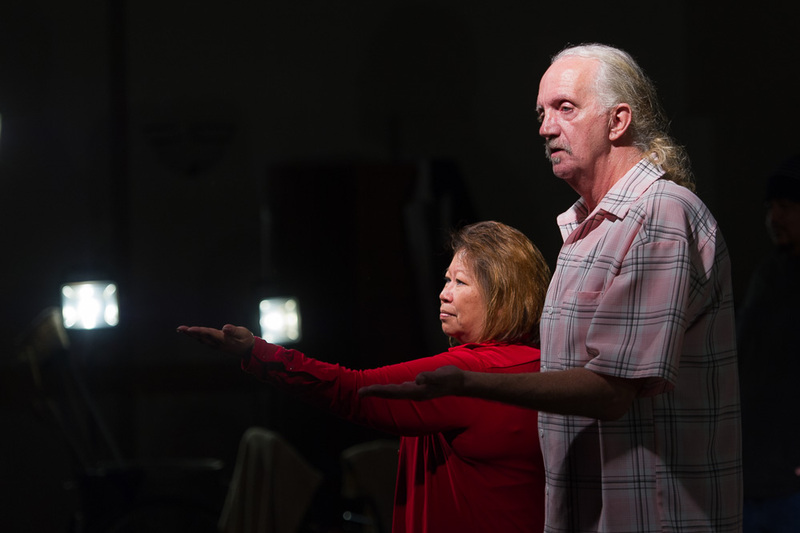 His play on intercultural conflict in Hawaii, Ventriloquists, was supported by a grant from the Atherton Family Foundation. Currently he is working on a community-based play with the homeless of Honolulu for PlayBuilders. 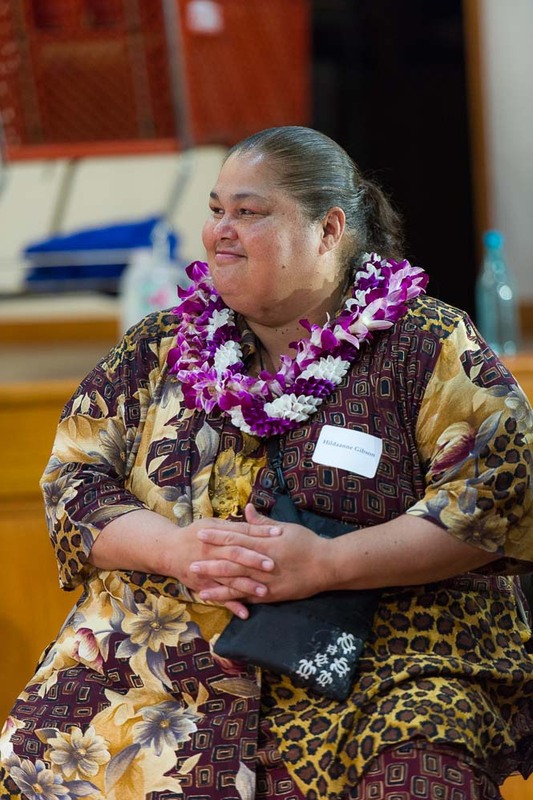 To help him gather stories from the homeless community for, he has received a Trustees Scholarly Endeavors Program from Hawaii Pacific University. 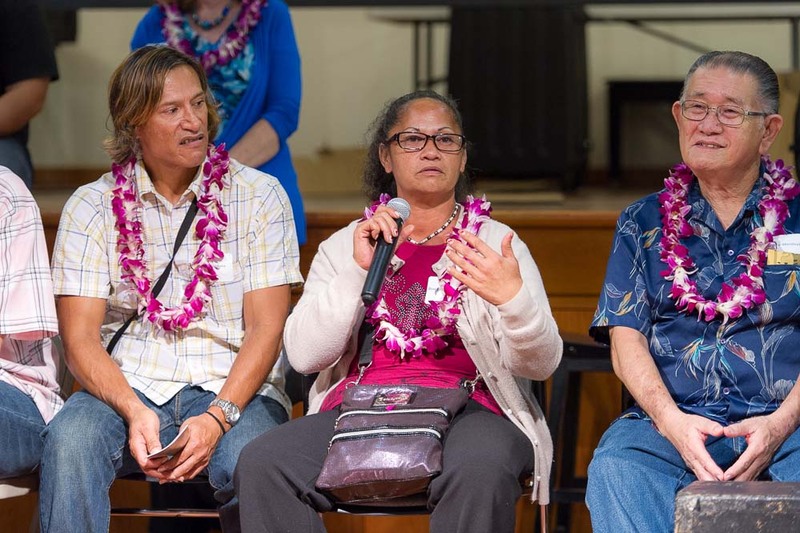 This photo was taken by Chuck Babbit during a discussion after “Houseless in Paradise” on Nov. 16, 2013 at Catholic Charities, Hawaii,. Pictured are the cast and individuals playwright Mark Tjarks interviewed for the play including; Jun Yan, Executive Director of Honolulu Office Housing, State homelessness coordinator, Colin Kippen, and members of the Waianae Boat Harbor Community. Note: to the far right, seated next to Mark Tjarks is Executive Director of Catholic Charities Hawaii , Jerry Rauckhorst. Jerry and his staff made the event that took place on Nov. 16th possible. 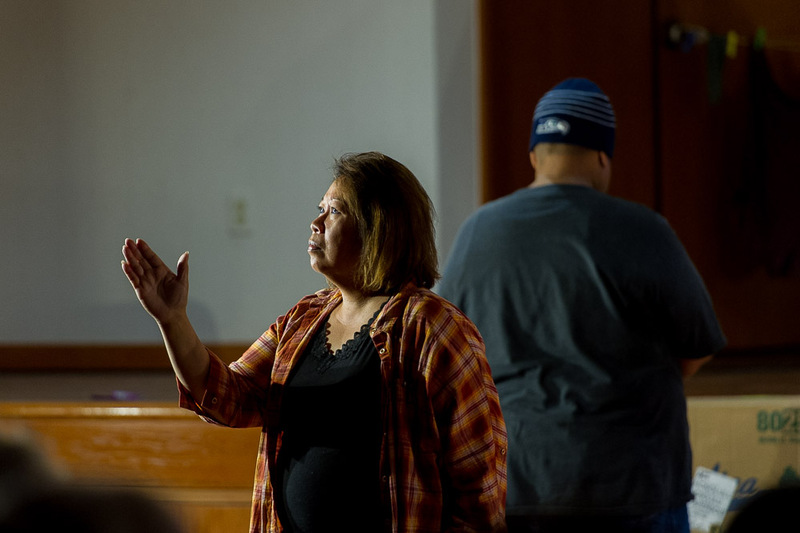 It was an amazing evening where the subject of homelessness was able to be explored in a new way, through the stories of the homeless themselves. Seated in the center is Eugene. Eugene feeds the homeless in Waianae and the Waianae Boat Harbor Community pay for half the food themselves. Eugene served the food he feeds the homeless to the guests who came to see the play afterwards. "I am truly grateful for being able to share my story with you and also thankful that the Playbuilders could be the vehicle and voice for the homeless."